Briars in the Cotton Patch tells the nearly forgotten story of Koinonia Farm, a small Christian community in Southwest Georgia where whites and blacks chose to live and work together as equals despite the brutal and frightening consequences. 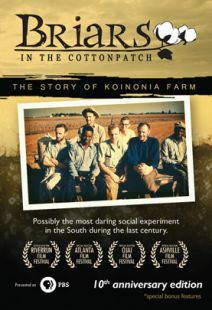 Possibly the most daring social experiment in the South during the last century, Koinonia faced years of terror, boycotts, and intimidation in the years leading up to the tumultuous Civil Rights era. 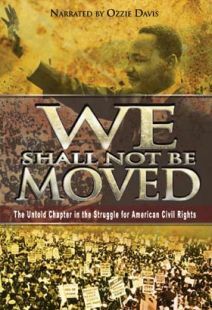 Narrated by former Atlanta Mayor and Civil Rights veteran Andrew Young, this award-winning documentary examines the remarkable events that tested the moral boundaries of a community and planted the seeds for the global work of Habitat for Humanity, The Fuller Center for Housing, and Jubilee Partners. Widescreen. For institutional use carrying public performance rights for colleges, libraries, theological seminaries, and schools, contact Cotton Patch Productions at briars@cottonpatchproductions.com or visit www.briarsdocumentary.com/store. What is most interesting about Briars is the narration by Andrew Young who was with MLK for most of the civil right movement. This piece of unknown history broadens the scope and "players" in this critical time in American history. Who would have thought, for example, that an intergrated farming community existed in the 1940's in the deep south or that it was left pretty much alone for a decade until C.Jordon supported the intergration of the University of Ga.? It also fleshes out the towns people, some bigots but most just ordinary people who didn't want to get involved. I can't quite put my finger on it but this film has a message for us today about standing up for what we belive in. 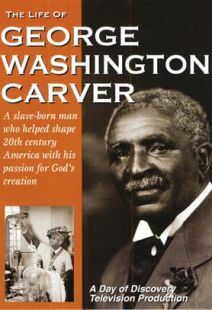 Every high school should show this not as a Black History month program but as a history program. It shows what a difference one person can make. C. Jordon was a southener from a rich family who could not understand or tolerate the hugh differences that existed between the races. He did something that continues to change our world. In 1942, Clarence Jordan, a white preacher, along with his family and another family started Koinonia Farm in Sumter County, Georgia. What is so amazing about this is that it was fully integrated. Long before the popularity of communes in the counter culture of America, before the Civil Rights Movement, Clarence Jordan and the members of this farm were fighting for equality of all people. Another thing that is fascinating is that it was a Christian community. For several years they lived in peace, unmolested, while the community looked upon them as rather eccentric and harmless. In time that began to change amid cries of communist and racial epithets. The atmosphere became so laden with violence that in the 1960s, civil rights workers in other communities were afraid to visit Koinonia Farm. They could fight for votes and picket, but visiting Koinonia Farm was too dangerous. This is a documentary that describes what they went through and what brought them into being. I wish it had gone into more depth, because I think I would have liked to know the people that were involved more. But I’m glad that Koinonia Farm has at last gotten some publicity and that hopefully they will now be included in the annals of the Civil Rights Movement. 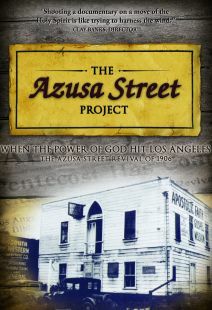 This documentary tells a story that very few people are aware even took place. How often do you get to hear about white people helping black people in the south during the civil war era? You see, through "Briars", how different interpretations of the Bible created violent conflict among Christians in the 1940's,'50's and '60's in rural South Georgia and how, from this conflict, came an idea that turned into a movement that has affected millions of people around the world. The pacing is good and the overall storytelling aspect is engaging throughout. If you're into independent productions with a dependent production quality, check this one out.